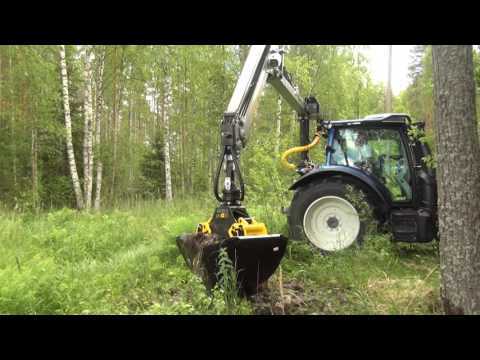 Tractor Attachments Take a look at the brochure! 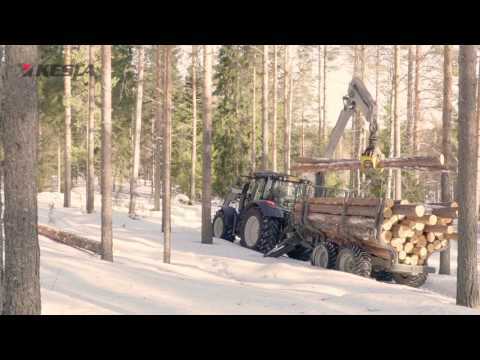 For over 30 years, KESLA has been a global pioneer in providing forest equipment for tractors. Kesla products sold under the PATU trademark have been the global market leader since the early 1980s. 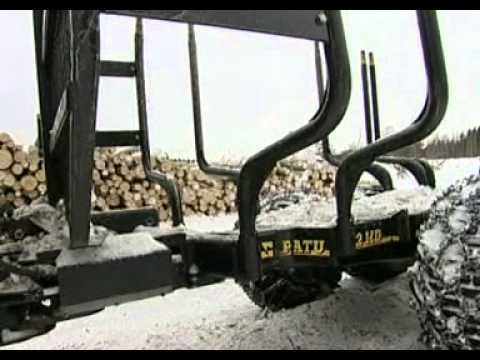 KESLA has developed a large selection of timber loaders, timber trailers and accessories that make it easy to equip a tractor for efficient timber harvesting. 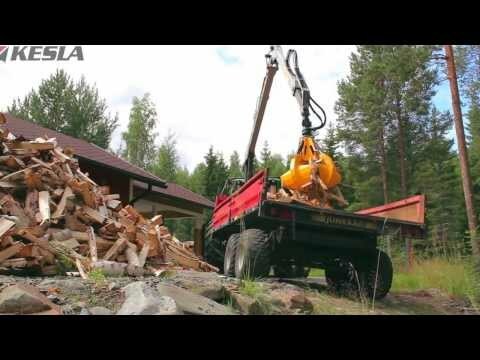 KESLA has great solutions for both heavy professional users and forest owners harvesting their own timber. KESLA products are a combination of cutting-edge technology and the highest quality of components and materials. During manufacture, each KESLA product passes through a rigorous international quality assurance programme as well as practical performance and safety tests. Product details are carefully considered and designed for the needs of customers, raising efficiency and reliability to a league of its own. The large product selection and comprehensive range of optional accessories, makes it possible to provide customers with customised solutions that are sure to meet their needs. Since durability and a long service life are focal points in KESLA’s design work, customers are guaranteed uninterrupted working and superior resale value. 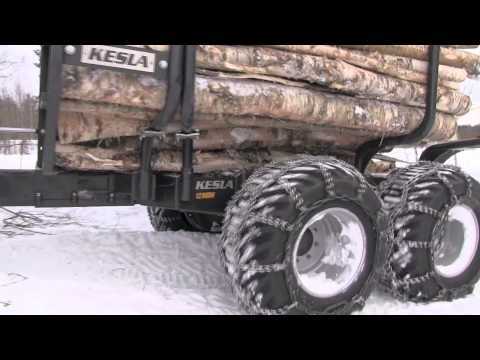 KESLA is the only manufacturer in the world that can bring its experience in heavy-duty timber truck cranes, forest machine cranes and industrial cranes to the world of tractor-mounted loaders and trailers. This experience shows in the superior features and durability of the products and in the manufacturer’s ability to listen to and serve the customer over the product’s entire service life. Vehmersalmi’s Metsätyö’s Juha Mönkkonen’s one pearl of machinery is Valtra N174 Direct -tractor which is beautifully towing KESLA 122ND trailer and KESLA 316T crane. 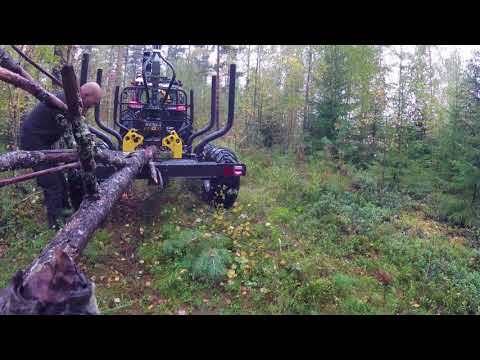 Mönkkönen relies on the loader trailer combination and especially on the traction given by the trailer. 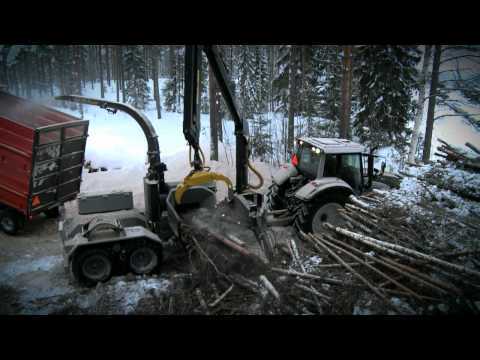 The Siilinjärvi-based Siilin Traktorityö uses the KESLA loader not only for forestry work, but also for many other kinds of contracting work and even in urban areas. 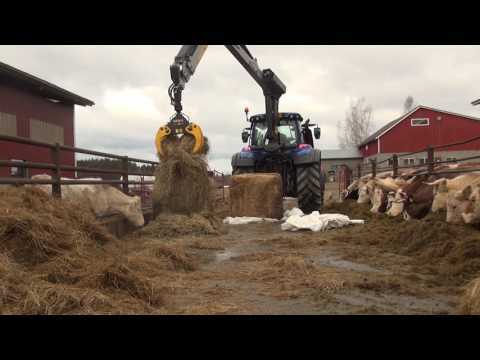 The strong KESLA 316T loader mounted on the rear bridge of the tractor is a real helper at work. Mr. Kari Pekonen has been running the farm in Parikkala Kirjavansalo since 2001. The farm includes 220 Ha of fields, forest 70 Ha and 400 head of cattle. Farming contracting work is ran as its own separate business. From the begging the KESLA crane loader has been used in contract work. 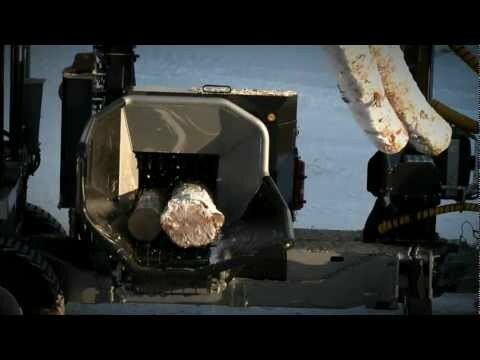 Pilkenetti is a company based in the city of Parikkala, that offers thermal drying services of wood and produces firewood. The company was established in 2011. The company is owned by Mr. Antti Paajanen and Mr. Juha Tuupanen, of which the latter is currently also the CEO of the company and is actively involved in daily operations. 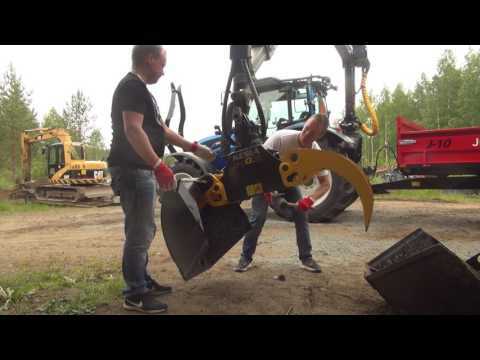 Jouko Makkonen, who is living in Eastern Finland, in Savonranta, is now using his fifth KESLA tractor loader – and to be specific a grapple loader - which he finds as an unbeatable solution for farms. 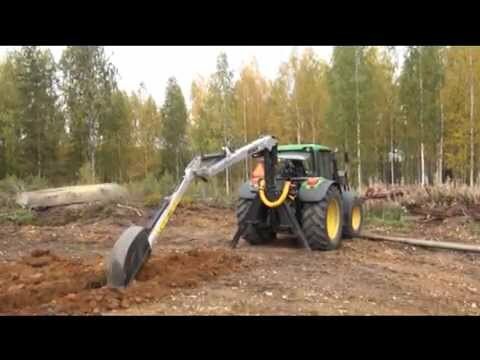 The newest loader was purchased in 2015 as the previous KESLA 204 loader was changed over to Makkonen’s son who continued the farming as Makkonen retired. 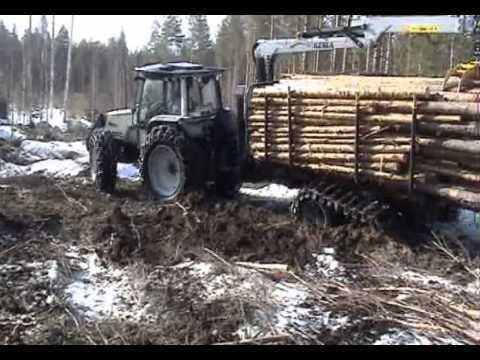 First he thought that he would loan the loader when there is need, but as the loader was always busy in farm work, he decided to purchase one of his own. With the purchase he also happened to get one of his brainchildren, bale claws that can be attached to a grapple, converted to a tangible product. Kim Olander is a farmer from Lapinjärvi, Finland. Already during several years, he has focused more and more to forestry work in search of profitability of the farm. Farmer Fredrik Johansson lives nearby Jönköping, Sweden, with his family. Like else where in Europe, also in Sweden farming has become more and more challenging. 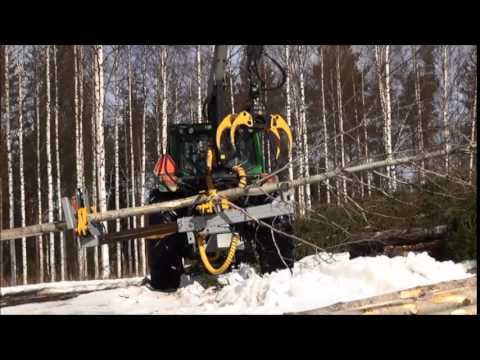 On the forestry side, the situation is better though and wood sells well. 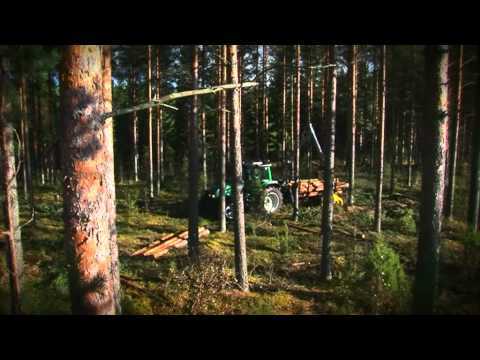 At Johanssons forestry side is gradually overtaking the traditional farming side. 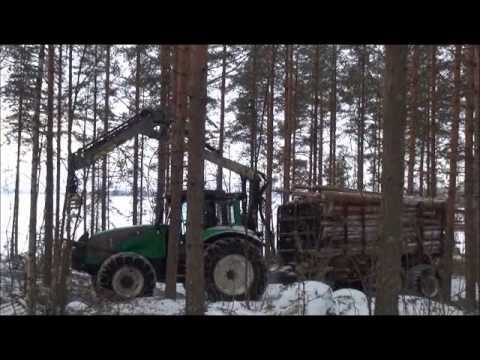 In the forests nearby Punkaharju, Eastern Finland there is much activity when Kyösti Tiainen is forwarding timber behind a harvester machine to be transported to the road side for collection. 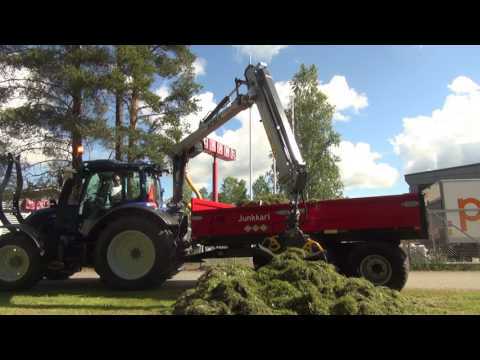 For the transportation Kyösti uses a combination of a Valtra M120 which is 120HP, and a KESLA 12MD forwarding trailer fitted with a Foresteri 400-loader. 316T-kuormaaja, jota testasin, liikkui todella pehmeästi ja herkästi. 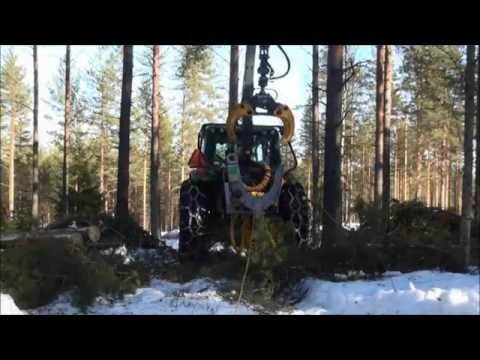 Tuntui siltä, että olisi helppo oppia työskentelemään sen kanssa. Minulla on ollut KESLA 40LF jo vuosien ajan. Laite on todella käytännöllinen, kun voin katkoa ja karsia puut itse. Alle kolmen kuukauden sisällä olen lastannut tällä proG20-kouralla 20 000 kuutiota puuta. Täytyy sanoa, että kouran ote on erinomainen ja rasvaa riittää. Harva koura kestää tällaista työntekoa! Tätä PATUa ei ole tarvinnut hitsailla jälkikäteen, vaikka se on ollut kovalla käytöllä jo kaksitoista vuotta. KESLA 12HD:n rullaveto on osoittautunut tärkeäksi vaikeissa olosuhteissa. KESLA 12MDH:n vetoteho yllätti todella positiivisesti. Tässä 316T-kuormaimessa on erinomainen ajotuntuma ja voimaa kuin metsäkonenosturissa. The 316T loader I test drove, was moving very softly and sensitively. I feel it would be very easy to learn to work with this loader. I have had KESLA 40LF for years. 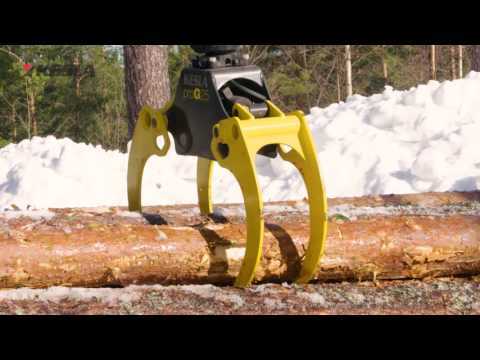 It is very useful, as I can cut and delimber trees by myself. In under three months I have loaded with proG20 over 20 000 m3 of wood. I must say, that the grip of the grapple is very good and there is no lack of lubrication anywhere. Rare grapples can stand this hard work. This PATU has not needed any after-welding although it has been in active use for 12 years. The roll drive of KESLA 12HD has shown its importance in difficult circumstances. Efficiency of KESLA 12MDH's drive surprised me really positively. 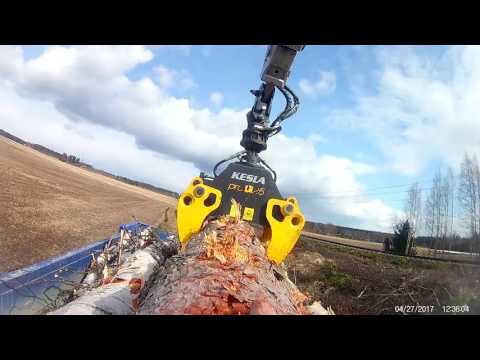 This 316T has as good contact and power as in a forest machine crane. What is the difference between KESLA 40LF and 40LFe? KESLA 40LF is equipped with mechanical controls. Using requires taking the whole control valve into the tractor cabin and keeping the window open. The 40LFe in the other hand has electric control valve which is integrated in the frame and you need only a light electric joystick inside the tractor cabin. Can KESLA 40LF be used for all wood species? 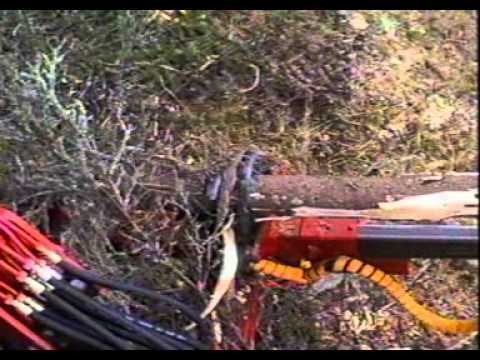 Yes, the stroke delimber suits for delimbing and cutting all tree species.